One of the most popular divas in Bollywood is Deepika Padukone. She is also one of the highly paid actresses of Bollywood. Though the Bolywood actress has always remained to be the talk of the town owing to her acting skills but these days the reason seems to be a little different. 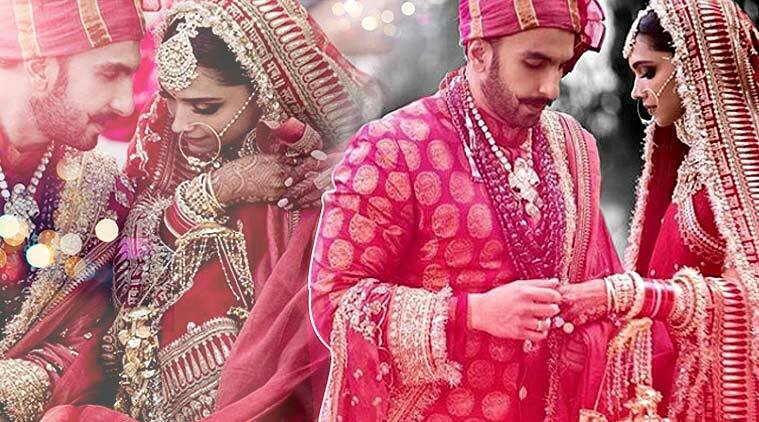 The actress has recently tied a knot with one of the most famous Bollywood actors, Ranveer Singh. Here are the top 10 must know facts about Deepika Padukone. She has millions of fans not only in India but also abroad. In case you are one of her fans and you claim to know here well then you might be wrong. Being a fad it is not enough to simply know that she was born of January 5, 1986 and that her father is Prakash Padukone who is a popular Badminton Player. There are a lot of other things as well that you need to know about the actress. Not many of you might be knowing that Deepika was born in Capengham, Denmark. In Bangalore she was brought up. She does not simply have the acting skills but a plenty of other skills also. She has also written a plenty of columns for newspapers. Most of the time, her writings are found delineating feelings on issues that relate to feminism. Deepika just like her father had an inherited inclination towards playing the popular sport, badminton. Also, the actress has remained to be the national level player. However, because she wanted to be a model she gave up playing badminton as a career option. Deepika also possess a great inclination for the outdoor sports and her younger sister, Anisha is a golf champion. In 2006 she made she acting debut with a popular Kannada movie that was named Aishwarya. However, lot of people opine that Om Shanti Om was her debut to the acing industry but somehow it was her Bollywood debut only. For performing exceptionally well in the blockbuster Bollywood movie of 2007, Om Shanti Om she won the Filmfare award for Best Female Debut. Prior to having worked in Om Shanti Om, she had also displayed her talent by working in commercial of Liril soap that was a big hit. Also, in 2006, the popular music director Himesh Reshammiya gave her an opportunity to show her acting skills in his music video, “Naam hai Tera Tera”. Deepika learnt the amazing dancing skills that she possess from Shiamak Davar. As far as her acting skills are concerned she learnt these from Anupam Kher. Deepika has literally adopted the Ambegaon village in Maharashtra and meets their water and electricity requirements. In 2013, she came to limelight by becoming the first actress to have done 4 back to back hindi films that were worth 100 crore. These were Race 2, Yeh Jawani Hai Deewani, Chennai Express and Ramleela. She holds the 9th rank in the list of Forbes 2015 celebrity list having earnings of 59 crores. This makes her the only lady to have featured in top 10 till date. She claims to be the Most Beautiful Indian as per People India Magazine, Most Desirable India as per Times of India, World’s Sexiest Woman as per FHM India, Hot 100 according to Maxim India. she has received Special Achievement Award from CNN IBN Indian of the Year (2013) and Entertainer of the Year by NDTV Indian of the Year (2014). Other than this she has won 3 Filmfare Awards, 9 Screen Awards, 6 Zee Cine Awards, 3 Stardust Awards and 6 IIFA Awards over the period of time that has worked in film industry. Amitabh Bachchan, the veteran actor of Bollywood was so much mesmerized after watching her performance in Ramleela that he sent her a bouquet. This was a bouquet of appreciation. The actress considers it to be one of the great little motivating factor that she will cherish life long. All in all, these are the top 10 must know facts about Deepika Padukone. If you are a big fan or claim to be a big fan of the actress then you ought to know these all. In case you have some other favorite too about whom you wish to know more and unique facts then you may drop us the name in the comment section below. We will reach out to you soon with the article on the same.